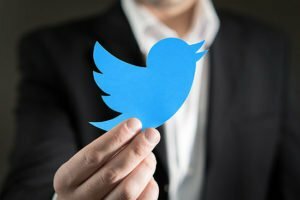 Twitter Inc. (NYSE: TWTR) plans to join Facebook Inc. (Nasdaq: FB) and Alphabet Inc. (Nasdaq: GOOGL) in banning the advertisement of cryptocurrencies and ICOs, according to Sky News. The report says Twitter could ban ads for ICOs, token sales, cryptocurrency wallets, and cryptocurrency exchanges. Largely, this is causing panic in the crypto community, which is worried about censorship. However, this could help prevent new crypto investors from being scammed. If their first introduction to cryptocurrencies is positive, they could bring more money into the markets. More money could help send the prices of crypto coins higher. Here is a recap of the top cryptocurrency prices at 9:30 a.m. EDT. On Monday morning, the market capitalization of the global cryptocurrency sector increased to $318 billion. Bitcoin comprised 44.4% of the total cryptocurrency market, with a market cap of $141 billion. The top performer in the space was Status, which gained 35.02% over the last 24 hours. Other top performers from the top 50 cryptocurrencies included Stellar (up 28.73%), Qtum (up 24.37%), Alon (up 22.42%), TRON (up 21.69%), Cardano (up 19.84%), and Ardor (up 18.65%). There was not a single cryptocurrency in the top 1,000 largest cryptocurrencies by market capitalization that had a negative return for the 24-hour period. Once again, one of Bitcoin's biggest bulls made another significant call for the world's largest cryptocurrency. Fundstrat's Tom Lee predicted over the weekend that the price of Bitcoin will hit $91,000 by 2020. Lee made that prediction after tracking previous market dips and ensuing rallies that followed. Lee has been extremely bullish on Bitcoin since July 2017, when the coin was trading around $3,000. He previously predicted this year that Bitcoin would hit $50,000 by 2022. Did you know we have a free research service that finds the most profitable opportunities in cryptocurrencies today? It gives you real-time recommendations and price updates on only the best ways to make money now. Lee believes Bitcoin's value has been affected by the cost of mining a single coin. At current prices, the cryptocurrency is barely worth mining and will need an uptick in prices to bolster interest. Today will be an extremely important day for cryptocurrency traders. The G20 meeting will kick off in Buenos Aires, Argentina, and global oversight of cryptocurrency is expected to be on the agenda. A closed-door meeting on crypto is expected to occur on Tuesday, but today could feature a significant amount of speculation on what sort of regulatory push we might expect from economies around the globe. A number of global financial leaders have encouraged nations to crack down on illegal activities like money laundering. However, Reuters reported that Bank of England Governor Mark Carney wrote a letter last week to G20 members that had a more positive outlook on the current state of cryptocurrencies. "Responding to the concerns of members, the FSB [Financial Stability Board] has undertaken a review of the financial stability risks posed by the rapid growth of crypto-assets," Carney wrote. "The FSB's initial assessment is that crypto-assets do not pose risks to global financial stability at this time. This is in part because they are small relative to the financial system." I hope you'll take advantage of all the great research on this breakout digital coin. To find out how to get all this, just take a look.